Whether you’ve tried budgeting a million times or it’s the first time ever, starting a budget can feel daunting. What if I do it wrong? What if I mess it up? What if I don’t guess right? You will get there. Most of us budget nerds suggest approximately 3 months, give or take, to get the hang of it. It took my husband and me 5 years to figure out what works for us, sooooo…. I’m not sure what that says about us. But, perhaps that’s why I feel so strongly about it. Once we finally did get the hang of it, it felt so relieving and freeing to have a budget. I never want to go back. Before starting this series, I wrote about how budgeting gets a bad rap of being tedious and restrictive. But, it’s not. Having a budget is eye-opening, and freeing. It brings peace and order to your money and your home. I listen to the Dave Ramsey podcast sometimes, and one time, a family called in and said they started budgeting only to realize they’d been supplementing their income with 10,000$/ year in credit cards, and it was such a shock. They always thought it was just a little here, just a little there. So, when they cut up the cards and started budgeting their money, it initially felt restrictive… after all they’d “lost” $10,000 of spending money a year. BUT, they also said it felt like freedom! Because for the first time, they were the ones in control. A budget is simply YOU telling your money what to do. You being in charge of your money, instead of your money controlling you. Start here. Welcome to Budgeting 101. YNAB (you need a budget) – a online budgeting tool that is free for 34 days then $50/ year. This is what we use now, and is worth every penny. Step 1. Roughly Sketch Out Your Budget. I think this brainstorming step is easiest with pen & paper. 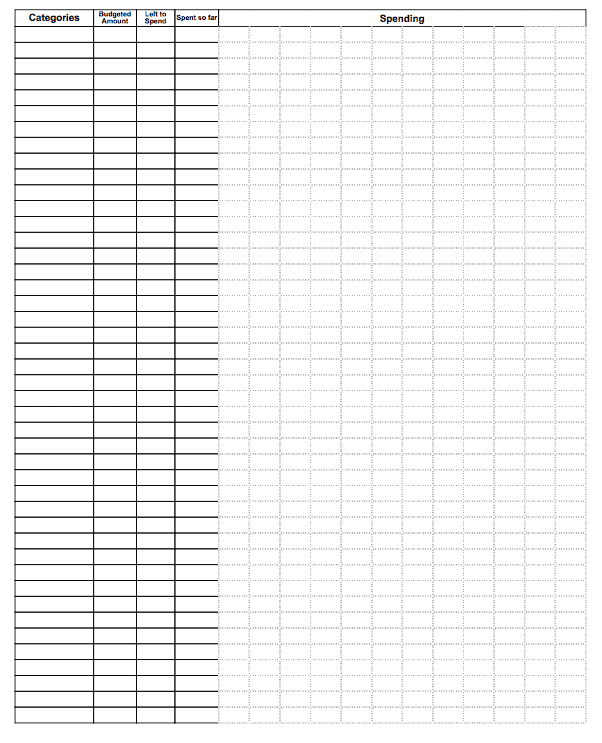 Use my blank budget template to get started quickly. Then, go back and plug it in your app of choice later. Here is another template with suggested categories to get you thinking– download & print or open & edit it in google docs or excel. 2. Write down next month’s income. If you’re income is variable (commission, self employment, hourly based, etc… ), guess based on the lowest it’s ever been. We’ll deal with variable income budgeting more at another time. Food, shelter (including utilities), everything else. 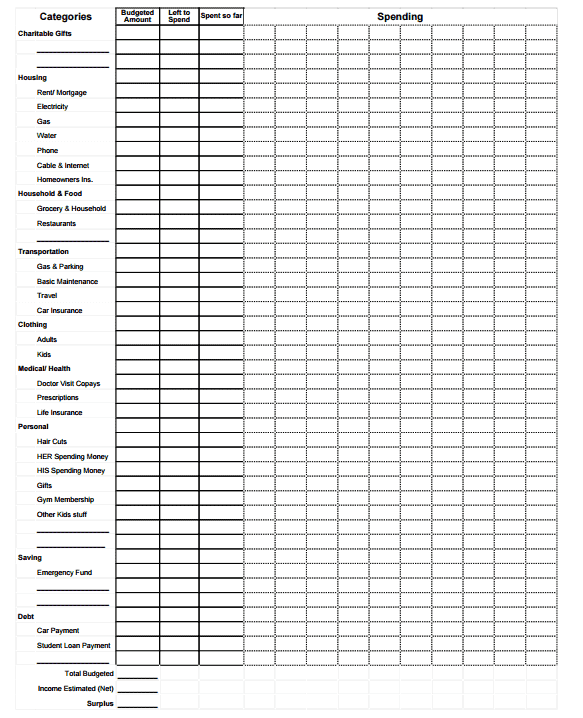 The above budget template that has categories might be helpful for you. 3b. Write down how much you think you spend on each of these things in a given month. The goal is to spend every single dollar of your income on paper before the month starts. You are not budgeting based on your current bank account balance. You are budgeting based on the month’s income. Since we are paying down student loans with a vengeance, we have a bare bones budget for the month and then all the leftover dollars go in another category titled “extra debt payment.” We still ’spend’ them on paper, so we’re not tempted to buy other stuff with the extra money. 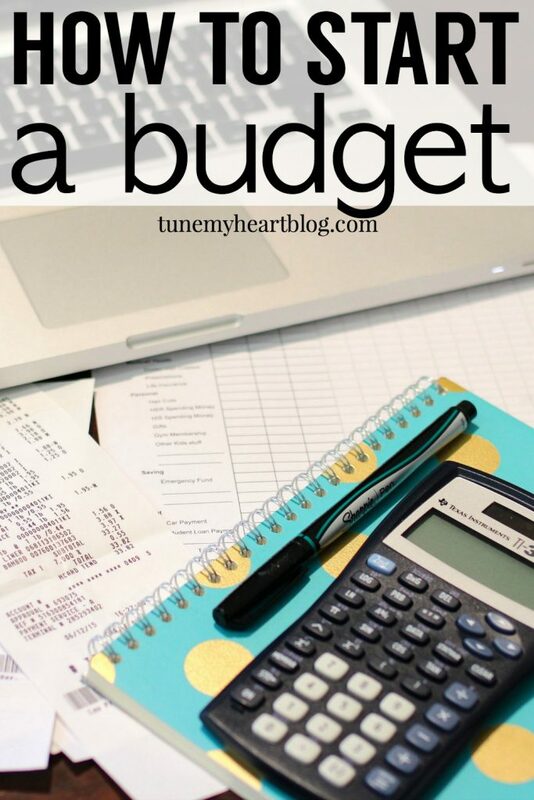 You have a budget! Congrats. Okay, here’s the thing. That budget is a contract, not a suggestion. You have already spent (on paper) every single dollar you’re going to make next month. So when your paycheck hits the bank, there is no wondering what to do with your money. You’ve already decided. You told your money what to do already. Now, just make it do what you said you would. I think the BIGGEST hindrance to budgeting is looking at your bank account as the determining number for how much money you have. Once you have a budget in place, you can ignore your bank account balance, which is actually incredibly freeing. If you make $2,000 next month and you budgeted $400 for food, then you have $400 to spend on food. Not $401, not $500. You don’t have all $2,000 in your bank account for food. If you budgeted $30 for clothes, you don’t have money for a $50 dollar pair of jeans. If you save this month’s $30 clothes then next month when you allow yourself $30 more for clothes, you can buy a $50 pair of jeans. But this month, even though your paycheck was $2000, you don’t have $50 for jeans if you only budgeted $30 for clothes. The budget categories tell you how much you can spend, not your bank account balance. Make sense? The next steps are tracking your spending and adjusting your budget accordingly. Those are really separate tasks from making your budget, so they’re covered in other posts in this series. You can find them here. One last thing. 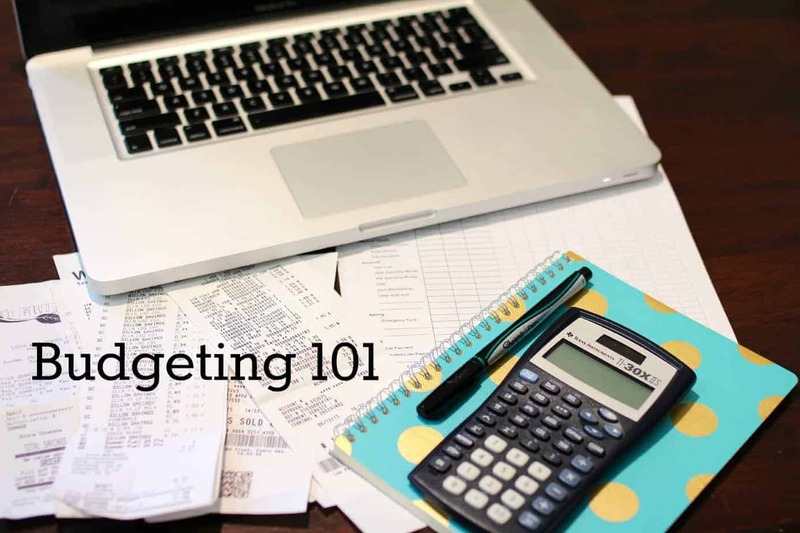 If you are new to budgeting, this process will be a lot easier if you both use either cash or a card tied to the same account so that all your transactions are in the same place. We used to use cash. You can read about my method for managing an all-cash budget here. Now, we use our debit cards – both for the same checking account – for everything. And that one account is linked to YNAB, so all the transactions show up there. It’s so simple. If you insist on having multiple accounts/ cards, you can connect all of them to YNAB. But I still think it ends up being easier to spend all your money from one account. If you’re just starting out and need someone to bounce ideas around on or have any questions, please feel free to contact me or comment below. I love the way you talk about starting a budget and the emphasis on the bank account balance does not tell you how much money you have. That’s something I really needed to read! Reading it I thought well duh that should be obvious, but in practicality that is not how I’ve been living! I’ve been struggling financially for a while and I think that is the perspective i needed to get on track! Hey There! Thanks for commenting. I’m in an intense blog course right now that is really helping me hone my writing skills! You can use the contact form to email me for more info on the course. Basically, my writing process is: (1) write when my brain is clearest… first thing in the morning or at the beginning of my kids’ naptime. I’m basically useless by the evening so I do zero writing then. (2) I often outline first to get the juices flowing and then write from my outline, even if the outline is just numbered points on a scratch paper. (3) Eliminate distractions – I try to keep other tabs closed, and don’t check social media before I start. I keep my phone away from me and turned on silent too. Hope that helps!